The June cS Awards and May cS Award Winners! We’re not sure if you’ve noticed, but things are a little different around the crowdSPRING site lately. We’ve rolled out some major changes that we’re very excited about. You may have even noticed the little number that’s appeared by your name. Congratulations, you’ve met our new Reputation System. In celebration of our newly-launched Reputation System, June’s cS Award will go to the three Creatives on the site who have the greatest improvement in their Reputation Scores! But, you ask, “What can little old me do to increase my score?” While we can’t give away the secret sauce recipe, we can tell you that if you visit the site regularly (lots!) over the next 4 weeks, participate in tons of projects, garner high scores on your entries, and be a great crowdSPRING citizen by reporting problem projects, participating in Forum threads, and avoiding violations, you’ll be well on your way to a higher score! Scores will move a little slowly, so don’t go expecting 10 point leaps overnight, but trust us, if you put in your due diligence you will see a difference by the end of the month! Think of it as the crowdSPRING version of credit building: you have to put in the work to reap the rewards. 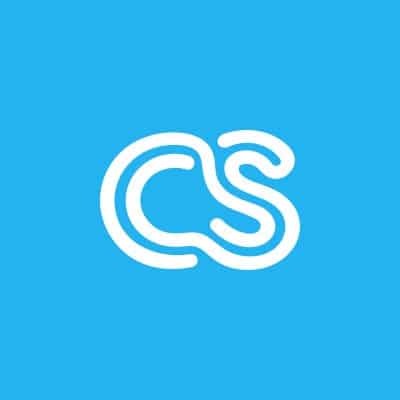 The June cS Award is open to every single creative on the site. We can’t wait to see what good citizens you are and watch your talent be rewarded! Good luck, everyone! And now…. the May cS Award Winners…. The May cS Award was for our inaugural video project! We asked for :30 to :60 second clips of a motion design, visual effects, or animation work and participants were allowed to submit existing clips or work made especially for this project. We have to say, for our first experiment with videos, we think you guys really hit it out of the ball park! We got some crazy good entries and had an incredibly difficult time narrowing it down. We’ve said it before and we’ll say it again, you guys are one talented bunch. Thank you for your brilliant contributions and participation! Our First Runner Up is troyart, who is from Washington state in the U.S. and has been a crowdSPRING Creative since October of 2009. Troy has participated in 109 projects and has won 5 of those. Who knew that he was also an incredibly talented animator. Troy’s entry in the video project (below) was originally created as a digital holiday card for his client. We say, lucky clients! We originally narrowed the finalists group down to 10 entries and the 7 Honorable Mentions can be seen here! Thanks to everyone who participated and a special welcome to the new motion artists who registered especially to participate in this project! Editor’s note: This will be Amanda’s Werner’s final post on the crowdSPRING Blog – she is moving on to greener professional pastures and we will miss her greatly. Good luck, Amanda!